Is trampoline the most beneficial and the most fun exercise ever? Probably. Is there anything more fun then jumping on a trampoline? It takes me back to when I was 8 years old and bouncing contently on my cousin’s trampoline where one of us would -stupidly- attempt a back flip and end up with a bruised…well you can guess! Not only is trampolining a laugh a minute it is also so good for your body. It’s three times more beneficial to your body then running, for someone who hates running this is amazing news. The first benefit of trampolining is that it improves your cardiovascular strength meaning it helps the heart. In addition to that it increases your metabolism (perfect). In addition to this, it helps you lose weight! Fun cardio is this even possible? Apparently it is! It uses the same muscle as jump rope so it’ll tone and firm you up as well. Because you’re putting pressure on your bones, it will gradually build stronger bones preventing you from future bone diseases. 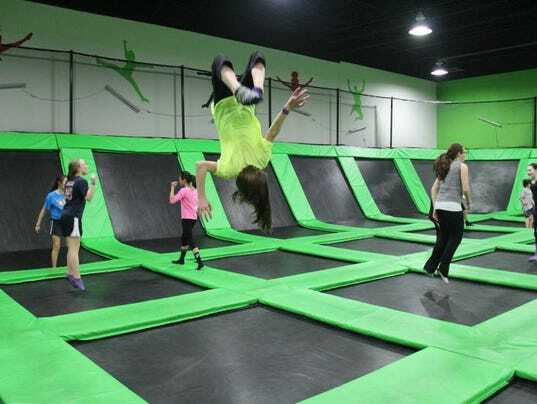 The bounce that a trampoline causes is not only fun but also will rid the body of toxins as it engages the lymph system and increases it’s flow which improves disease immunity. So basically, you’re making your body better at fighting diseases! This just gets better and better! Finally, studies show that the more you enjoy an exercise the more you’re likely to do it again in the future. Which makes sense! I was inspired to write this as I went trampolining with my friend last week and it was hilarious. My friend told me that every time she looked at me I was grinning from ear to ear. By the end of the 45 minute session we were exhausted! It’s such a fun workout and really benefits your body. 19 years old, currently on gap year before studying English Literature at Glasgow University.